The Art Cart at the Florence Griswold Museum offers families a fun, interactive way to explore the museum grounds while learning about the artwork and artists through fun, hands-on activities. 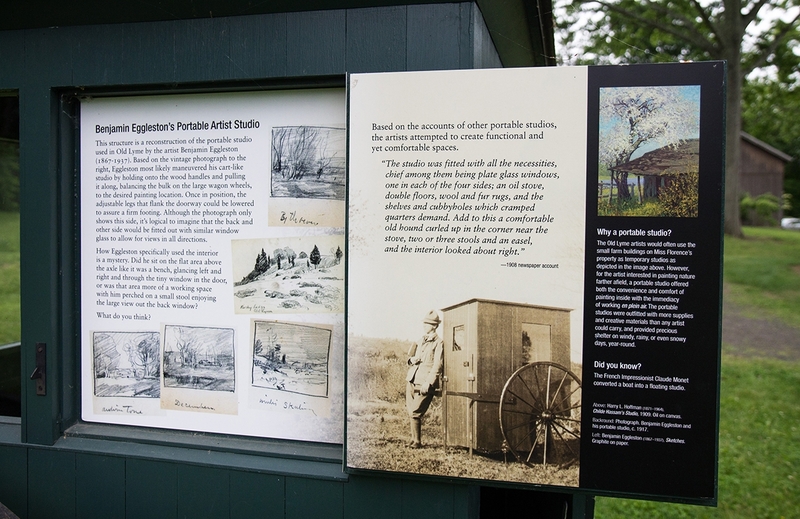 The cart is a reconstruction of the portable art studio used by painter Benjamin Eggleston (1867-1937) in Old Lyme, which offered the comfort and convenience of painting inside with the immediacy of working en plein air. A young visitor checks out one of the Explorer Kits the Art Cart has to offer. Families visiting the museum are invited to open the Art Cart and help themselves to any of the nine different Explorer's Kits hanging inside. Each one features a theme, such as “All About Boats,” or “All About Color,” and contains information and activities for children to try out as they explore the grounds. The cart is fun, educational way of keeping children engaged while they visit.